Video Intro to Episode 82: Audio Recorded Outside on my iPhone 4! Recorded Outside Amongst The Bugs! This was the first time that I used my iPhone 4’s memo feature. The audio sounds pretty good huh? I stripped the original audio for the video with the audio from the iPhone 4, to make it sound as clear as possible. I gotta say, that I was literally eaten alive by all those bugs flying around there! I’m still suffering a crazy amount of mosquito bites. I may consider doing stuff like this more. Of course if you want to listen and practice along to the full class, here it is! 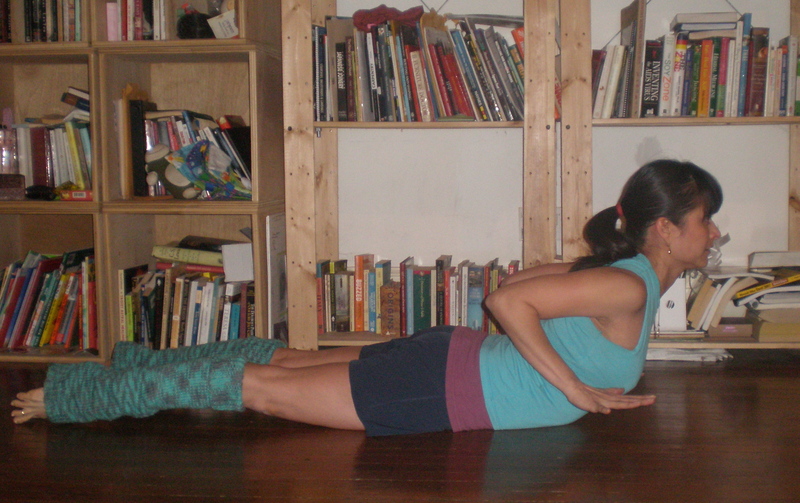 An iPhone 4 Yoga Class For Your Enjoyment! And here I thought that I was going to get some time to be able to publish more episodes to you guys…in JULY. Not so much, but alas! Here’s a yoga class to start the month off right! This one is close to my heart. It’s focus is all about the way we are swayed and often times misguided by what we see and hear all around us, especially the media. It is a call to take responsibility for our choice making and the way we go about making choices. The inspiration for this class came straight from all the hoopla around the iPhone 4 and its antenna issues. 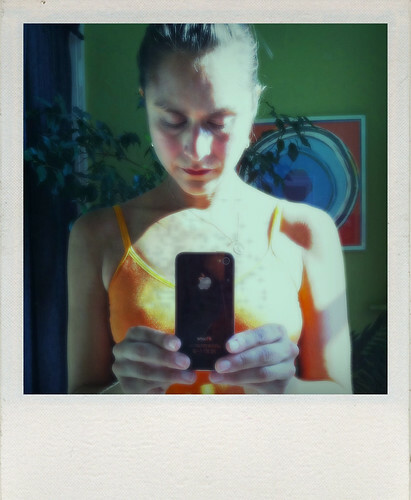 If you happen to follow me on Twitter or are part of the Facebook Elsie’s Yoga Kula Community, you would know that I have an iPhone 4! Yipeeee! So I speak from my own experience with the device, and I’m totally loving it! Given that I’m sure you have heard at least something about the whole antenna thing, so I sorta offer my 2 cents about it and wrap it around a yoga class. What’s interesting about this theme is that it mirrored the hoopla around an article on my beloved teacher John Friend in the NY Times. If you haven’t already, please read the article, John’s response to the article PLUS Elephant Journal’s exclusive interview with John. Interesting how perspectives and opinions shift and change if you simply choose to step deeper into them 🙂 And move from your heart. This yoga podcast class is a level 2 class, and if you have a yoga block in the house, please feel free to take it out and play with it during our backbends towards the end of class. I cut a bit of the class in the middle because I did a demo that doesn’t really work if you weren’t there so why put you guys through it 🙂 If you do hear references to it, or to another demo that I had a student do, just dismiss them. Pretend that you went to the bathroom during that part of the class! The them for this class was inspired by this episode of Merlin Mann’s talk at Rutger’s University. Check out the talk. Not about yoga, but very yogic. I think he’s awesome. I know that if I asked you who or what you hold valuable and dear you could tell me without much thought. I’m sure that you’ve thought about how much your family, your homes, your friends, your culture, etc. means to you. I’m sure that now that I’ve brought your attention to this, you have a clear idea in your head and feel pretty strong about where you place your value. The thing is, that we think about this too much. I mean that we keep that which we value in our thinking mind. We intellectualize much more than we internalize it, within our hearts. There is a level of detachment that comes with it. Yes, we love our family. Yes, we love our friends. Yes, we value our home. Here’s the question: Do your actions, from day to day, from moment to moment honor and abide by that higher intention? If we could graph our daily activity, and our daily thoughts, what truly takes up the majority of our days? What would it show? I know that for me, my graph would show huge interaction with my cellphone and my ipod. It would also show me constantly checking my email, FB, Twitter, and stats. (Note the word checking, there is no actual engagement involved.) And these are my physical behaviours behaviors I am also guilty of being with my daughter and having my mind full of everything BUT my daughter. I think more about podcasts, blog posts and creating content on a daily basis than I think about my breath, my body and growing my relationship with those that I have said I hold valuable. There are countless opportunities to deepen relationships. There is enough time. I know that I tend to leak my energy in places, thoughts and actions that in no way deserve it. Unconsciously, through my thoughts and actions I am serving and cultivating less than optimal relationships. The level of commitment and discipline required to sustain an optimal level of engagement and relationship in our lives is great. It requires that we choose, and choose again, always refining and clarifying moment to moment. We must sustain the focus throughout our days, slowly building a strong internal practice, that lets us be at once soft and steady. As I became aware of this for myself, I had to share this. I know that I am not alone. My desire is to place what I value in my heart, not in my head. My desire is to engage and hold the sacred where it’s meant to be. How about you? Do you observe your behaviors and thoughts serving and cultivating less than optimal relationships? In what ways to do abide by the Highest? And speaking of the video…Thank you my dear and lovely sponsors Prancing Leopard Organics! The clothes that I’m wearing in the video are from them and I ADORE them 😀 Listen to the intro to this episode to get your coupon code for 15% off your purchase! This episode’s online yoga class podcast is a Level 2 class. Upon learning about and delving into the earthquake in Haiti, and specifically the lack of infrastructure within the area where the earthquake hit, and the lack of foundation to receive help, it forced me to look at what was going on in my ‘home’, my heart, my surroundings so that I could help create clarity HERE and NOW. I donated money. In fact, how could you not? It was made so easy to give, so very easy to give. You saw how fast the human heart can open up and offer. You all experienced a sense of unity did you not? It’s amazing how open our hearts are. I have so much faith in the human race and our ability to open our hearts. I have no doubt. An underlying base or foundation especially for an organization or system. The basic facilities, services, and installations needed for the functioning of a community or society, such as transportation and communications systems, water and power lines, and public institutions including schools, post offices, and prisons. If we don’t tend to that, regardless of how open our hearts are, how willing we are to give, how much we want to work, the delivery of that love, support, resources will not get there easily. At least that’s how I see it. The foundation will not be set when push comes to shove. Infrastructure is not exotic, it’s not exciting, it’s very grounded, methodical, and I guess you could say boring? Our job as yogis is to make these every day choices, these mundane often boring and at times, may I say annoying tasks sacred, valuable and full of meaning. It is in those every day ways that we build our foundation, our underlying system within our household, within our relationships, within our BODIES that we create the optimal way for us to share that wealth of heart and spirit with which we are all blessed. 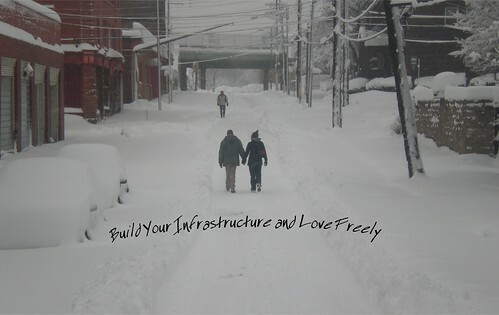 The more that we cultivate our infrastructure, the more that we will be able to share and love each other, support each other in a myriad of ways. We will be ever more effective and clear and raise ourselves and each other to a higher level of consciousness. So, scroll below to do the yoga class (and check out the corresponding sequence) with this theme, so that you can infuse and strengthen your infrastructure in order to serve more fully! or comment on this blog!